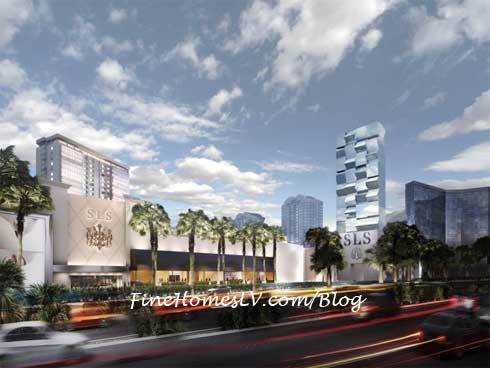 SLS Las Vegas, the lifestyle boutique resort and casino featuring sbe’s award-winning hospitality brands, today unveiled details behind the property’s highly-anticipated design. The aesthetic of SLS Las Vegas channels a myriad of inspirations, from SLS Hotels in Beverly Hills and South Beach to the famed roots of its North Las Vegas Strip location led by global design firm Gensler in collaboration with internationally acclaimed Creator Philippe Starck and sbe Founder, Chairman and CEO Sam Nazarian. Philippe Starck, well known for infusing irreverent narratives into his design philosophies, has taken the same approach with SLS Las Vegas. For Las Vegas, Starck views the property as a seductive cocktail with a range of enlivening flavors that will immerse guests in a truly original design and hospitality experience. In composing the room and suite designs, Nazarian, Gensler and Starck set out to create a variety of offerings that appeal to a broad spectrum of individuals with a shared affinity for the Las Vegas lifestyle. The 1,613 guest rooms and suites are divided amongst the LUX, World and Story Towers and each category is highlighted by its own distinct design elements. Further enhancing the room’s social appeal is the electric yellow vanity that doubles as a bar, the backlit ceiling mirror and the polished chrome swivel minibar cabinet. The LUX Tower is SLS Las Vegas’ all-suite tower, which has been designed for the leisure and gaming traveller who’s looking for a more lifestyle-driven room experience. The suite’s classic French influence is matched by oversized sofas, Starck designed chandeliers and scones, a custom closet armoire and a peek-a-boo shower window with a view into the bedroom. The rooms in the World Tower are designed with the business and convention traveller in mind, where luxury is realized through the room’s commitment to functionality. State-of-the-art in-room technologies are paired with elements, including a monochromatic color palette with pink accents, full-length LED lit mirrors flanking the bed and custom tapestries and furniture. The Story Tower is home to SLS Las Vegas’ most ambitious and innovative room design to date, featuring a multi-functional bed as the space’s centerpiece. Intended to cater to Las Vegas’ younger, entertainment and nightlife seeking crowd, the rooms offer a space that’s ideal for socializing, where the bed also serves an entertainment area for guests to gather and connect. The diversity in the aesthetic of the suites and rooms is only amplified by the array of influences that are showcased throughout the property. For example, Katsuya by Starck features Starck’s Geisha-chic vibe heightened by gold columns, statues of couture kimonos and booths fashioned with the look of Japanese helmets. Cleo channels the sultry mystery of the Middle East with a 30’ image re-enacting Vivian Leigh’s Cleopatra adorning the entrance, an oversized Lebanese chandelier, Egyptian wall coverings and green Moroccan tiled floors that lead into the signature plate breaking room. The Monkey Bar evokes the feel of a classic English social club with rich, warm woods covering the walls, a wood carved bar and distressed leather sofas with French marble café tables. Foxtail features a design inspired by the raw industrial rock n’ roll scene of Paris with silver dome fixtures, white neon, a black and white checkered dance floor, oversized brass birdcages for dancers and walls brought to life by the French graffiti art of Tarek Benaoum. Set to debut on Aug. 23, SLS Las Vegas.